We now allow agents to input their location (current country), which hints the system about an agent's location and optimizes call quality and routing. Administrators can specify an agent's location in Configuration Manager. 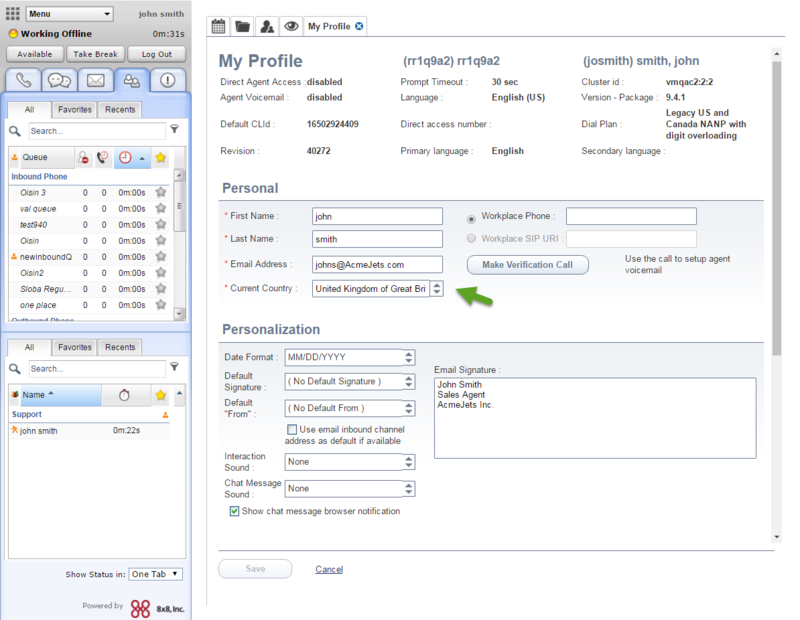 This is reflected in the agent profile in Agent Console. Agents have the flexibility to change the location as desired. 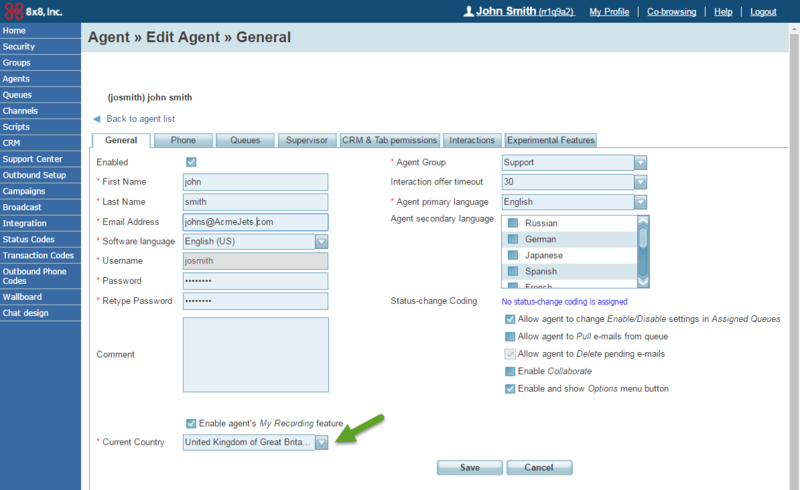 Select to edit an agent from the list of users. In the General tab, select the Current Country from the available options, and save. When the agent logs in, they can see this country selection in their profile. Select the Current Country from the available options and save.